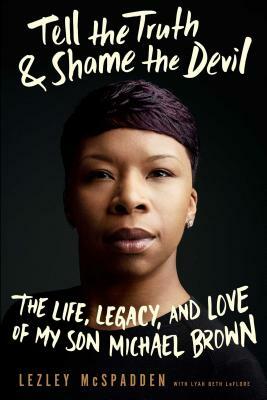 The revelatory memoir of Lezley McSpadden--the mother of Michael Brown, the African-American teenager killed by the police officer Darren Wilson in Ferguson, Missouri on August 9, 2014--sheds light on one of the landmark events in recent history. When Michael Orlandus Darrion Brown was born, he was adored and doted on by his aunts, uncles, grandparents, his father, and most of all by his sixteen-year-old mother, who nicknamed him Mike Mike. McSpadden never imagined that her son's name would inspire the resounding chants of protesters in Ferguson, Missouri, and ignite the global conversation about the disparities in the American policing system. In Tell the Truth & Shame the Devil, McSpadden picks up the pieces of the tragedy that shook her life and the country to their core and reveals the unforgettable story of her life, her son, and their truth. Lezley McSpadden is the mother of Michael Brown, and founder of The Michael O. D. Brown We Love Our Sons & Daughters Foundation. The organization advocates for justice, improving health, advancing education, and strengthening families. McSpadden also founded its signature program, Rainbow of Mothers, which was established to support mothers who have suffered the devastating loss of a child. She lives in St. Louis, MO with her family. Lyah Beth LeFlore is the author of eight books, including the novels Last Night a DJ Saved My Life and Wildflowers; the teen book series The Come Up; the New York Times bestseller I Got Your Back, and NAACP Image Award-winning The Strawberry Letter. LeFlore is also a television and film producer who has been profiled in the New York Times, Essence, Ebony, and Entertainment Weekly.